The enchantingly romantic Mary Ann will stop the breath of every sailor or sailor at heart. 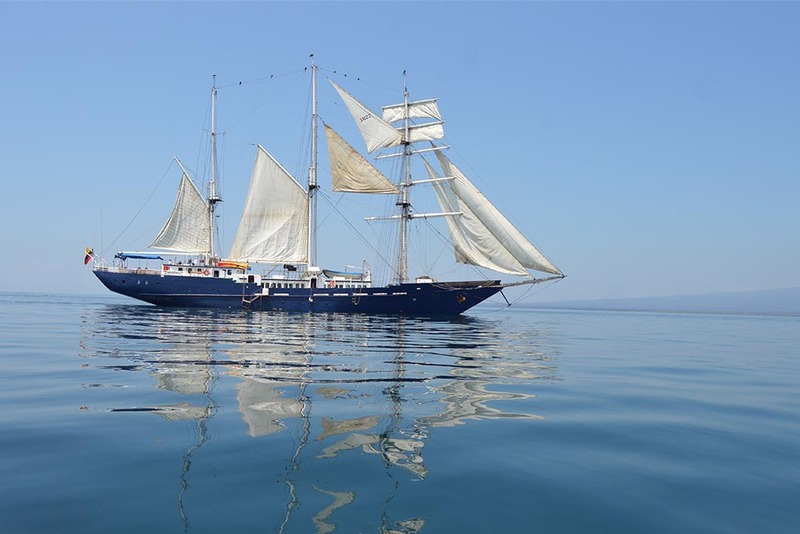 With over 1000 m2 of sail, she majestically parts the waves with full sails and with power. 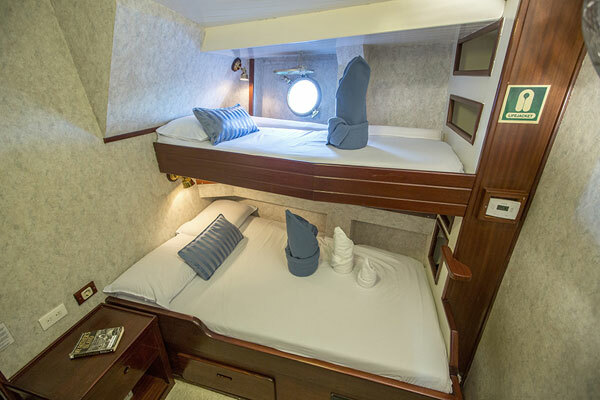 Guests will be comfortably accommodated in twelve double cabins (max. capacity twenty-four), each with air-conditioning and a private bathroom. Relax in the rich wood-panelled lounge or library (with TV and video equipment); let yourself unwind on the sundeck as you take in the fresh sea breezes. 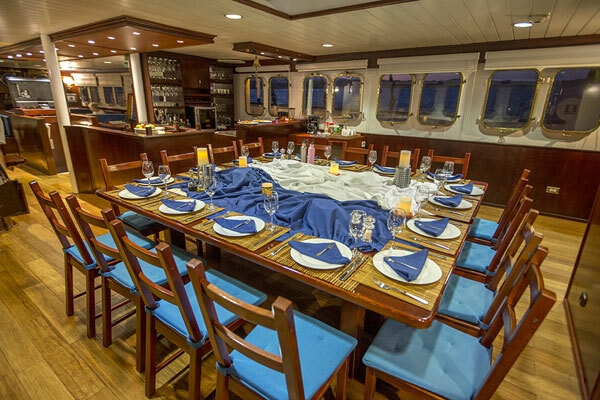 Since Mary Anne features a full crew of eight, you can rest assured that every aspect of your cruise from the delicious food to the informative nature presentations will be carried out expertly. • Children under 12 yeards old have 25% discount. ✓ Programmed visits to the islands with a certifed English-speaking naturalist guide. ✓ Snorkel gear (mask, snorkel and fins). ✓ All meals on board; unlimited coffee, tea, water and natural juices. 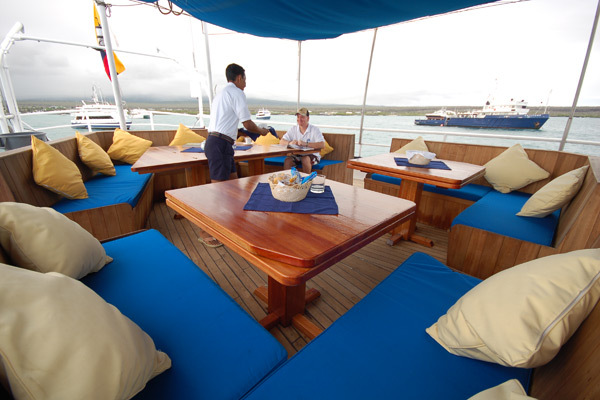 ✓ Private transportort and ferry for all Galapagos transfers. ⨯ Crew and guide tips. ⨯ Transfer to and from the airport in mainland Ecuador. 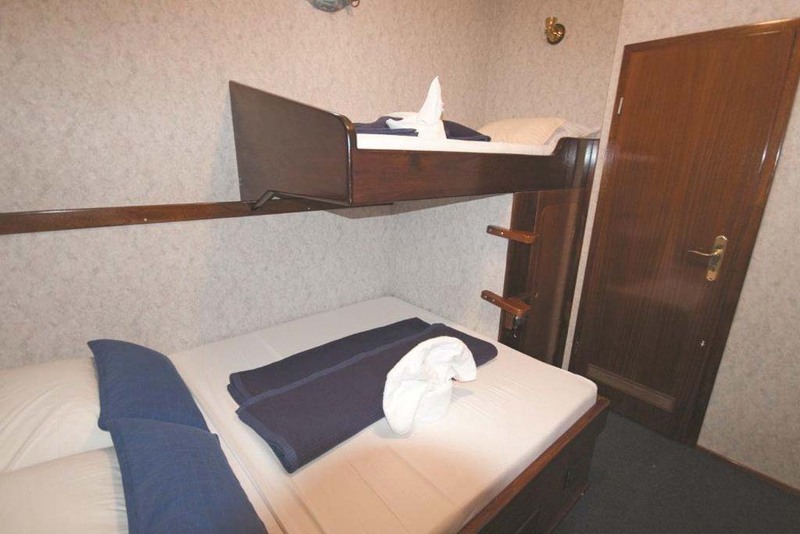 Cabin Deck : 12 double air-conditioned berth cabins, with 6 double lower bed-upper single bed and 6 single lower bed-upper single bed. Safety & Navigation: HF Radio, VHF /DSC marine radio, Automatic pilot, Depth sounder, GPS Navigator, Radar, Navigational Telex (NAVTEX), Automatic Identification System AIS), Two 25-passenger and two 20-passenger life rafts with safety regulation equipment, Emergency Position Indicating Radio Beacon (EPIRB), Search and Rescue Transponder (SART), Central alarm with smoke and fire detectors, Life jackets, Fire extinguishers. 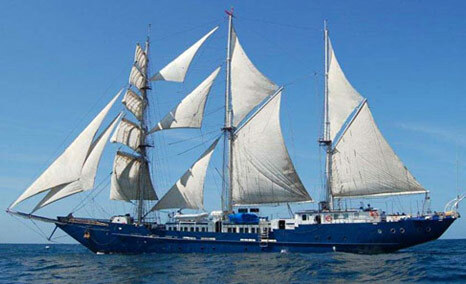 Please ask your Trip advisor for information on 5-Day, 6-Day, 10-Day, 11-Day, 15-Day Cruise itineraries for this boat. Our trip was fabulous - Mary Anne is the best boat we could have chosen. 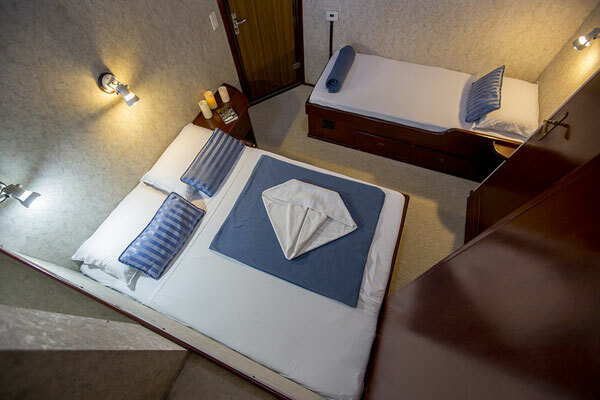 The boat is very special and nice and clean and comfortable, and the crew is extremely helpful and pleasant. We also lucked out with our group and guide. Last but not least, we loved Galapagos and what we saw and experienced. We had a perfect mix of activites and downtime. It was the best vacation ever! Thanks very much for all your help with the booking! Wendy and I returned from Ecuador to Helena this afternoon. We had a great time and wanted to thank you for your help in arranging this trip in your very beautiful country. Interestingly, we met the president of GalapagosIslands.com at Sacha Lodge – Jim Wilson, his wife and two children. We told Mr. and Mrs. Wilson we booked our trip through you and were very pleased with your assistance.